Zinc sulfide (ZnS) optics that can be custom fabricated for use in military applications requiring a broad wavelength spectrum and exceptional fracture strength has been introduced by Laser Research Optics of Providence, Rhode Island. 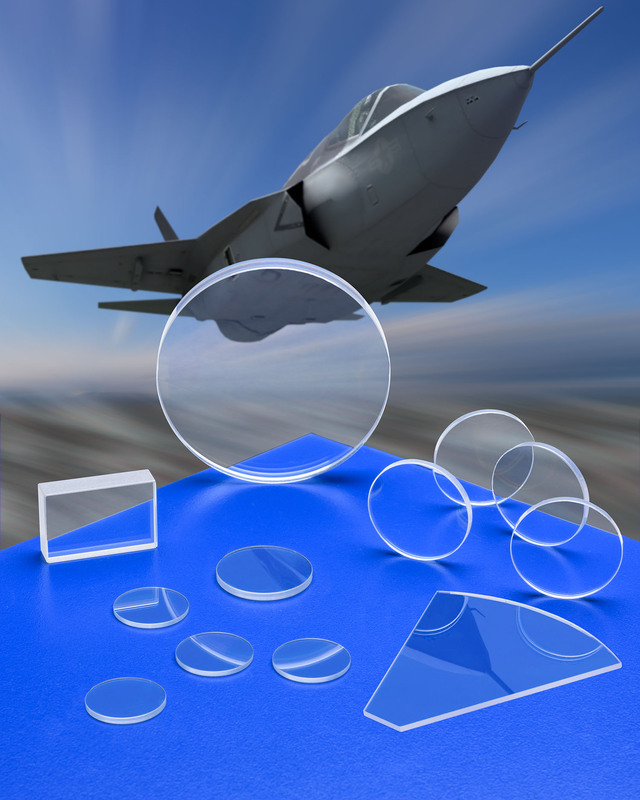 Laser Research ZnS Optics are water clear, transmit over a broad wavelength spectrum from 0.45 to 12 microns, and are offered as windows, lenses, and domes. Manufactured using Hot Isostatic Pressing (HIP) which provides enhanced clarity, hardness, and scratch resistance, they conform to MIL-PRF-13830 and are suitable for many military vision system applications. Laser Research ZnS Optics can be fabricated in sizes from 0.5” to 3” O.D. or diagonal; with typical tolerances of ±0.001” to ±0.005” and thickness to ±0.002”. Knoop Hardness is 150-165 kg/mm2, Rupture Modulus is 69 MPa, and they feature λ/4 and λ/10 surfaces and finishes to 10-5 scratch dig. Laser Research ZnS Optics are priced according to configuration and quantity. Price quotations are available upon request.